Streaming is now the primary way people watch shows and movies, so it's crucial that you have easy and reliable access to the services you use most. To get your home theater system stream-optimized, we recommend two main upgrades. The first is making sure you have a strong networking foundation, especially if you plan on streaming 4K content. This will make it easy to find and play what you want without any buffering. The second upgrade is about the user experience. Find an intuitive control solution that puts all the streaming services you use in one place so you can switch between them quickly. With the college football and NFL seasons kicking off, you’re going to want the ultimate viewing environment for Game Day. The most common upgrade for sports fans is multiple screens. During football season or March Madness, you may want to keep up with multiple games at once, and you can do that with a multiple-screen installation that play a number of games simultaneously. Just like with your streaming services, it's essential to have an easy way to manage these screens. Work with an integrator that lets you quickly change content on each screen through a smart remote, dedicated touchpad, or mobile app. A room optimized for the best sonic performance isn’t just good for watching movies. It’s also a great way to envelop yourself in your music. It’s important that you invest in high-performance speakers and a subwoofer good enough for both 2-channel audio and surround sound. Work with a professional that can connect all your music sources to the theater, including digital libraries, streaming services, and turntables. Kids, and a growing number of adults, now expect a dedicated gaming area in the house. Video games deserve the same HD video and surround sound features as movies, and can give you a competitive advantage when playing. For gaming experts, it's essential that the console’s image and video settings be configured appropriately. Then, we recommend using screens with adjustable aspect ratio. Even between consoles, there may be slight differences to the display, and you don't want to be distracted by black spaces around the edges. 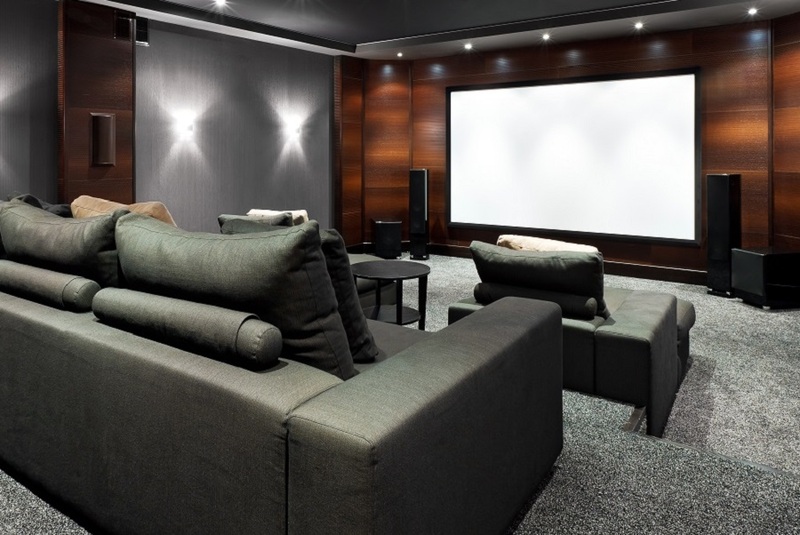 You don't have to be a movie aficionado to benefit from a dedicated theater system in your San Antonio home. A professional installation can bring happiness to the entire family. To learn more about our custom installations, you can call us at (830) 537 3410 or reach out to a live representative on the bottom right of the screen.